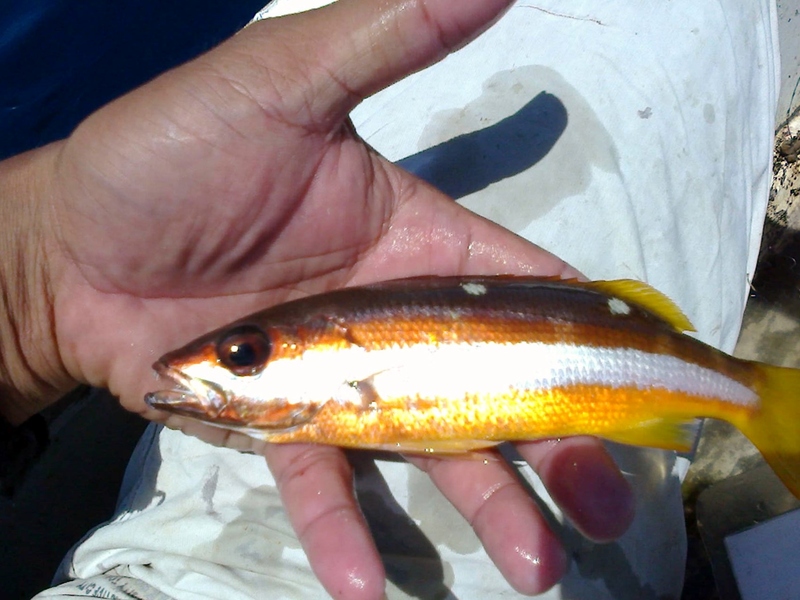 This is a somewhat uncommon species of small snapper found around reefs and sea slopes of the country. It is easily identified by its eye catching color, its white band running nose to tail, and its two small spots located just under the dorsal fin. These fish feed mainly on small fish and crustaceans and are most likely to be caught while fishing around reefs using small lures and live or dead small fish or shrimp. Smaller hooks would be required to catch these fish because their small mouth size. These fish both school in large numbers and also swim solitary. Posted on April 10, 2015, in Snapper (Maya Maya). Bookmark the permalink. Leave a comment.